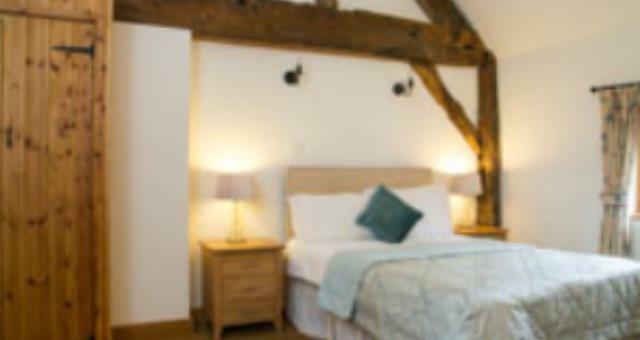 Set within the extensive grounds of Highgate House, our cottages can offer you the peace and tranquility of the stunning mid Wales countryside, as well as a gateway to explore nearby Powis Castle, Lake Vrynwy, the Welsh coast, Snowdonia National Park and beyond. For those that would like to try a spot of fishing whilst on the holiday, the pond is fully licensed so feel free to bring your fishing rod! Onsite we also have an array of animals - alpacas, kune kune pigs, pygmy goats and miniature shetland ponies. Guests are welcome to explore the 8 acres of pasture land that are perfect for a dog friendly holiday. Wifi available throughout the cottages. The gardens surrounding the cottages are beautifully maintained, with lawned areas, mature trees and well stocked flower borders. A stroll around the grounds reveal the stunning views over the adjoining rolling countryside and the Highgate Valley. To the rear of the cottages is the delightful mill pond, which provides a wonderful vista from the private balcony terraces of the barns. The pond is stocked with trout and attracts an abundance of wildlife, including otters, throughout the year, whilst red kites are often seen circling overhead. Visitors are free to try their hand at fishing! A gravelled parking area provides ample parking for these properties. Disabled Holidays: ?The quarry Cottage is perfect if you require a disabled friendly holiday cottage in Wales. The ground floor bedroom is flexible and can be used as a twin/double. Ensuite wet room and adequate space for a wheelchair to move around the ground floor. The sitting/dining area is flat and open planned. To the rear of the cottages is the delightful mill pond, which provides a wonderful vista from the private balcony terraces of the barns. 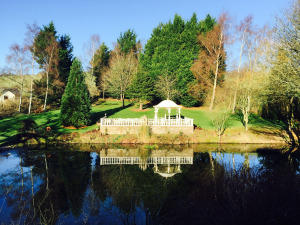 The pond is stocked with trout and attracts an abundance of wildlife, including otters, throughout the year, whilst red kites are often seen circling overhead. For those that would like to try a spot of fishing whilst on the holiday, the pond is fully licensed so feel free to bring your fishing rod! Onsite we also have an array of animals - alpacas, kune kune pigs, pygmy goats and miniature shetland ponies. Guests are welcome to explore the 8 acres of pasture land that are perfect for a dog friendly holiday. Children welcome from any age. Quarry Cottage ONLY. Orchard is NOT wheelchair accessible.